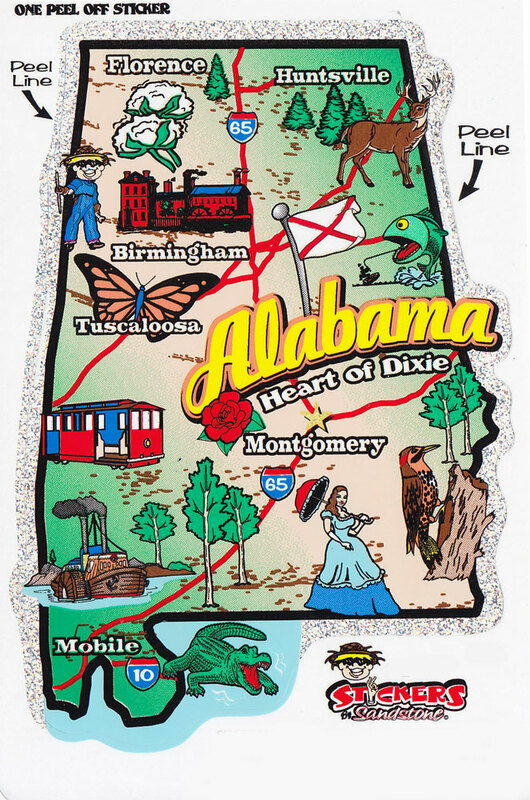 Vinyl Alabama state map outline stickers. With adhesive backing, these stickers adhere to any smooth surface. Decorate your car, RV or any other exterior surface. Sticker measures approximately 4" x 6".